Are you in need of Maytag appliance repair service? We can fix it! Our appliance repair technicians offer white-glove service and have been helping customers in the Central Ohio region for years. Our experience mixed with the high-quality products of Maytag will leave you and your kitchen or laundry room satisfied! “For over 100 years, Maytag has been dedicated to building machines that you can depend on. Because dependability, well, that’s just what Maytag does.” Knowing this, you definitely want an appliance repairman that can get the job done. We have years of expertise on Maytag appliances. Not only will we fix the problem, but we will leave your kitchen and laundry room spotless after the job! Did you know that The Applianceman Service team members are highly proficient in Maytag Repair? Our appliance service technicians aim to keep you up to date and aware of what exactly it is we are doing for you. Strong customer satisfaction is our goal so we make sure to explain each repair issue prior to servicing your household appliance. Please call to inquire more about Maytag repair service. Do you live in Columbus, Ohio or nearby? Give us a call today. 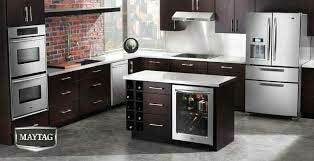 Maytag and The Applianceman Service guarantees a wide range of unrivaled kitchen appliance service and repair.